How long has PFTH been in existence? Our birth parent support group was established in 2009, as a part of our “sister” organization, Adoption & Family Support Center. In just a few short years our membership and dreams have grown by leaps and bounds. By 2012 we were ready to establish our independence and became a Florida corporation. In 2014 we obtained federal 501(c)(3) designation and are thrilled to now be able to accept donations to assist birth families. What is your agency’s mission statement? The mission of Placement From The Heart is twofold, to promote adoption by encouraging positive public opinion of birth parents’ choices and to provide direct emotional and economic support to these brave and unselfish individuals whose sacrifices allow others to be parents. Who can become a member of PFTH? 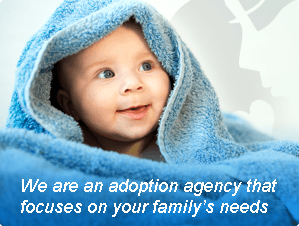 Our members include families that are currently making adoption plans or have made them in the past. Membership is open to ALL adoptive minded families. What type of meetings and events does PFTH sponsor? We have monthly support group meetings (“Girl’s Day Out) in the Daytona Beach area for our moms, both expectant and those who have placed. We also have three larger events per year (Birth Family BBQs) that include all family members and celebrate birth parents. What other services does PFTH provide? In addition to support group meetings and celebrations, we also have a mentor program. Many of our members want to “give back” to the adoption process and offer to provide support to other birth parents who are making an adoption plan. These services are provided over the phone, as well as in person, eliminating geographic boundaries. Members also provide support at the hospital when moms give birth. We provide financial assistance to birth families in need. This assistance is designed to promote self-sufficiency, maintain family stability and encourage personal growth and education. We are also firmly entrenched in our community and have an active “jail ministry”. What spiritual support does PFTH offer to the members? Our hope is to share God’s love for each of our members through our genuine care for them, and our non-judgmental and unconditional acceptance of them. We pray that, through our words and deeds, each birth parent will come to know their intrinsic value and worth in God’s eyes. How can I provide financial support to PFTH? Cash contributions are certainly the easiest method of giving. You may make an immediate gift, or pledge an amount to be paid over an extended period. PFTH is a nonprofit organization and your donations are tax deductible. Please call Sherry Yost at 386-214-3021 or email her Sherry@AFSCFL.com to pledge today. 100% of each contribution directly benefits our support group. We continue to search for additional opportunities to make it easy for you to reach out and help our birth parents. Some popular ways to help are registering on Goodsearch.com, Goodshop.com and Amazon Smile, org.amazon.com. Simply select Placement from the Heart as your charity of choice. We receive a donation “from them” whenever you use these services. Another great way to help is to open a new bank account with TD Bank and tell them PFTH is your charity. TD gives you $25.00 for a new account and us $50.00. Do you already bank at TD; just tell them PFTH is your charity, and they will donate $10.00 to us. All of these options cost you nothing and make a big difference to our members. Local businesses can get involved in many ways such as sponsoring events, donating gift cards or “giveaways”; call us with your offers to help.